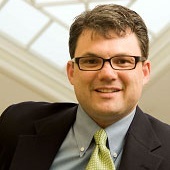 Kevin P. Gallagher is Professor of Global Development Policy at Boston University’s Pardee School of Global Studies, where he co-directs the Global Economic Governance Initiative (GEGI). He is the author or co-author of The Dragon in the Room: China and the Future of Latin American Industrialization (Stanford, 2010), The Enclave Economy: Foreign Investment and Sustainable Development in Mexico’s Silicon Valley (MIT, 2007), and Free Trade and the Environment: Mexico, NAFTA, and Beyond (Stanford, 2004). Mr. Gallagher has edited or co-edited several other books, including Rethinking Foreign Investment for Sustainable Development (Anthem, 2007). He is the co-editor of the Review of International Political Economy. He is also a research associate at the Global Development and Environment Institute of Tufts University and at the Political Economy Research Institute of the University of Massachusetts, Amherst. He serves on the U.S. Department of State’s Investment Subcommittee of the Advisory Committee on International Economic Policy. Mr. Gallagher earned his B.S. in political science and biology at Northeastern University and a Ph.D. in international political economy at Tufts University.